A partition is a wall or screen that separates one part of a room from another. Office partitions pay a key role in the workplace and offer a diverse range of benefits when used well. 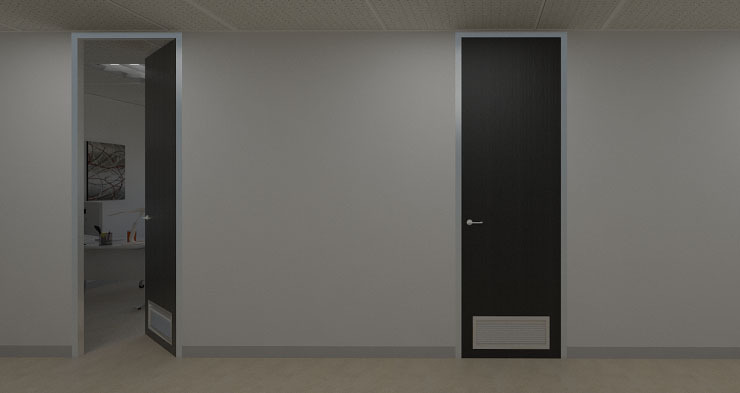 They can offer privacy, maximise floor space, shield noise and create ambience, and will usually form an integral part of the overall appearance of the office. We design and construct custom office partitions for businesses using only high-quality materials to ensure durability. Options include glazed aluminium, frameless glass, aluminium, glass, metal stud, timber stud, plasterboard and demountable office partitions and fire rated partitions. We source a wide selection of demountable partitions to suit any office configuration using the System 44 range. These are the most versatile and economical demountable partitions Melbourne has to offer, and a great choice for businesses with evolving requirements in terms of layout and space. See below for some of the common types of partitions we offer our clients to help improve the effectiveness of office workstations and the overall layout of the workspace. Solid wall plaster: Our plaster partitions are similar to the walls you’ll find in a home. They have a width of 90mm and can be complemented by masonite or aluminium skirting, with the option to be finished with paint of any colour. Noise block insulation can also be added for improved sound control in the office. This type of partition is great if you are after a little extra privacy while providing space for wall decoration and workspace. All types of rendering including acrylic textured finishes, cement render, and traditional solid white plaster is available. Glass: The major advantage of glass partitions is their ability to improve the flow of natural light. This, in turn, helps the office feel even more spacious and can help encourage collaboration among staff members. Coloured or frosted glass can be used to improve privacy wherever required. For a more open and inclusive environment, you may want to consider glass partitions. You can utilise the warmth and natural light of the sun to great effect here while providing a functional private workspace for your employees. 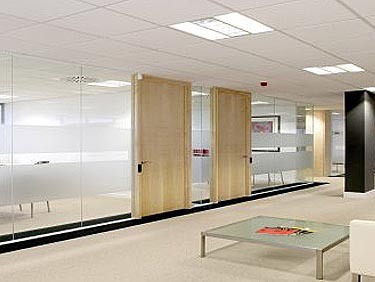 Plaster and glass hybrid: The most common application of part glass, part plaster office partitions in Melbourne is the use of plaster for the main part of the partition with a large glass window installed about a metre off the ground. This allows staff to retain some privacy while letting plenty of natural light into the office. We can provide these approved partition systems to meet your specific needs. We’re always on hand to discuss what we can provide to improve your workspace. Get in touch and tell us what you need – we’ll be happy to show you how we can make it happen.